Yesterday, investors reacted positively from upbeat results and forecasts from Morgan Stanley (MS), Goldman Sachs (GS), UnitedHealth (UNH) and Johnson & Johnson (JNJ). The Dow Jones and the S&P 500 closed up +2.2%, while the Nasdaq spiked +2.9%. The markets were also helped by calmer bond markets, following the spike in US Treasury yields last week. Today, Winnebago (WGO) plans to release earnings before the open. Alcoa (AA) will follow after the close. Minutes from the latest Fed meeting will be published at 2 p.m. ET. In case you missed it, there is the special report I put together after the market pulled back last week – “High-Ranked Pullbacks to Support” (available to everyone). 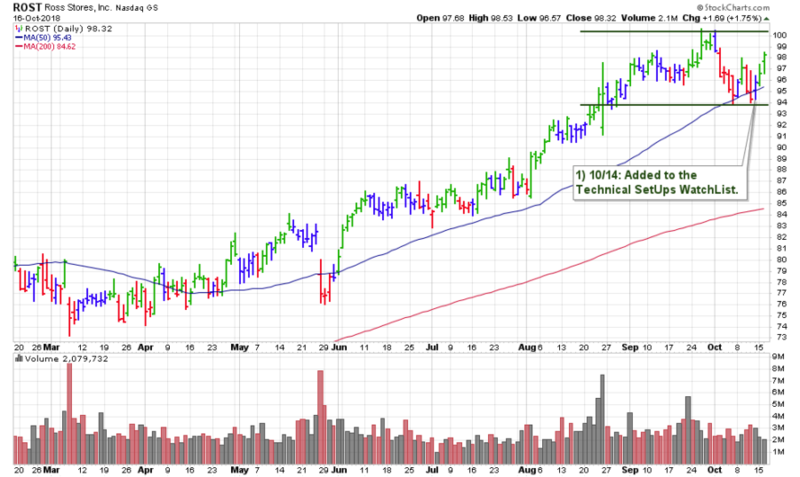 We still have 8 stocks which we will be watching for the next buyable breakout – see here. One stock in particular is ROST which just found support at its 50-day moving average during last week’s market pullback. This leading retailer is now -2.3% from its TRIGGER PRICE. 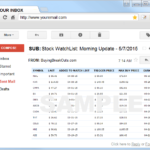 Now get access all watch lists with updated trading criteria including – TRIGGER PRICE, TRIGGER VOLUME, and MAX BUY PRICE for every stock here.